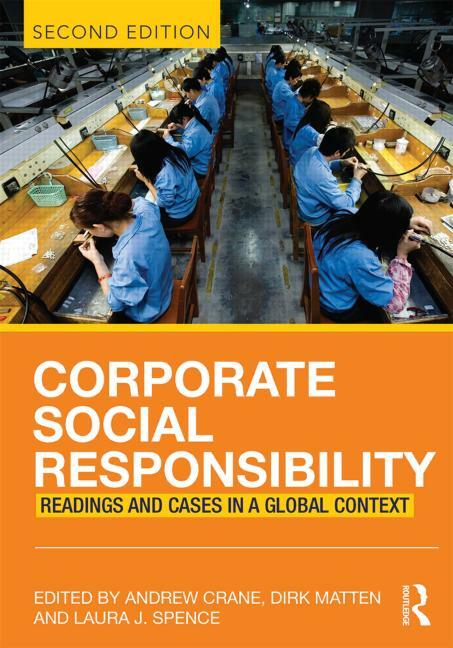 The new edition of our textbook on CSR, Corporate Social Responsibility: Readings and Cases in a Global Context, written with our colleague Laura Spence, hit the shelves a few weeks ago - just in time for the new academic year. And we're pleased to see that it's flying off those shelves pretty fast too. In its first month alone, the book sold almost a 1000 copies, which is pretty good going - and a big uptick on like-for-like sales from last time around. The second edition is quite a change from the first. It's still based around readings of classic and recent articles on CSR, but we've updated more than half of these, written three brand new cases, and overall it has a much more textbook-like feel to it. Along with Routledge, the publishers. we've worked hard at refreshing the design and contents to make the text much more user friendly, more lively and engaging, and with a great new companion website to help students and instructors make the most of the book. This includes a whole bunch of annotated links to CSR in practice which help readers see where theory in the book turns into practice as well as links to career resources for budding CSR professionals. Of course, there are also all the usual instructor resources like powerpoint slides and teaching notes, as well as a cool new "Case Club" which has suggested cases for each of the chapters in the book. It really is as close to the complete package for a CSR course kit as we could get it. To mark the launch of the book, we are making available, completely free, a download of the first chapter, "Corporate social responsibility: in a global context", over at the Social Science Research Network. This is the exact same version as you'll find in the book, downloadable as a pdf. You don't need to sign in, register, or anything. Just go to the right page and click "Download This Paper". It's that simple. The chapter is a good basic CSR 101 for anyone trying to get their head's around the subject. 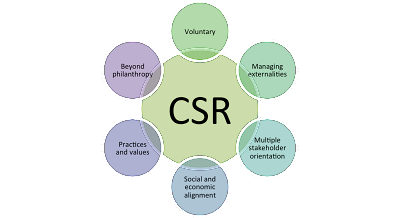 Among other things, it includes discussion on the nature and definition of CSR, and its emergence in different national contexts (including developing and transitional economies) and even different organizational contexts (such as small and large firms, and public, private and nonprofit organizations). 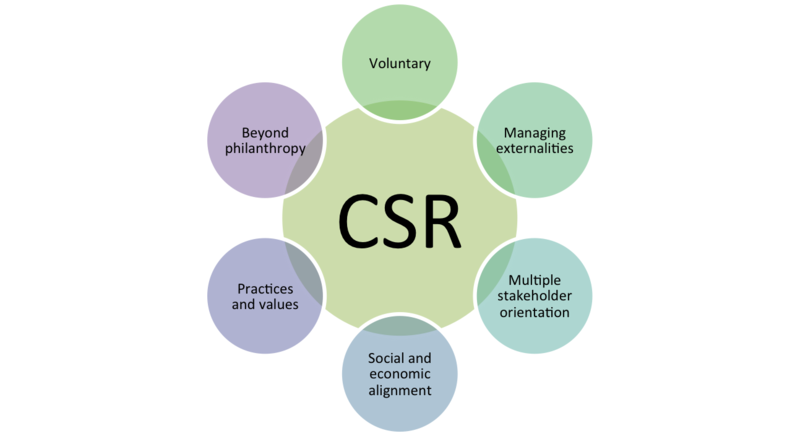 As with the previous edition, although we discuss a whole bunch of different definitions of CSR, we don't introduce a new one. Instead we try and capture what is common across CSR definitions in order to determine the main unique features of the phenomenon. We call these the six core characteristics of CSR, which are shown in the Figure below. Reproduced from Crane, A., Matten, D., and Spence, L.J. (2013), "Corporate social responsibility: in a global context." In Crane, A., Matten, D. and Spence, L.J. (eds), Corporate social responsibility: readings and cases in a global context, Abingdon: Routledge (p. 9). As we are often heard remarking, CSR is a field of "conceptual anarchy". Hopefully by reading the introduction, and who knows, maybe reading more of the book in class, at the library, or just for your own enjoyment and education, we can hopefully help you navigate through some of the confusion to reach a clearer, if no less complex, understanding of a sometimes elusive idea. It's time again for the start of the new school year in universities across much of the globe. For us, this typically means updating course outlines, refreshing our teaching materials and getting ready to hopefully engage and excite a new cohort of students looking to learn about corporate responsibility. There are many ways to teach courses on CSR or business ethics. Some approaches suit particular professors or groups of students better. But over the years, we've discovered that, as far as teaching in business schools is concerned, there are some fairly common do's and don'ts that can make teaching in this field more effective. Not everyone will agree with all of these, but here's our list of the 10 best ways to ensure a positive learning experience in ethics and CSR. 1. Be clear and realistic about what you can achieve. All good courses start with a clear set of learning objectives. This is particularly important in corporate responsibility courses because there are so many different types of outcome that an instructor might be aiming for. Do you want to make your students more ethical managers? Do you want to improve their decision making? Do you want them to be able to practice CSR, or to have a more critical perspective on it? Think about not only what is most important to you, but, most importantly, what you think your students hope t learn. But beware of expecting too much - you're never going to change your students' values in a couple of months of teaching. 2. Use current events to engage students. Teaching ethics and CSR isn't easy, but one thing we do have an advantage in is that there is hardly a day that goes by without our subject being in the news. This is a golden opportunity to demonstrate to students that what they are learning in the classroom has immediate relevance in the real world, especially when those individual events are part of broader trends, such as globalization, shifts in power, public mistrust of business, etc. Don't waste the opportunity! In our experience, business school students respond best when they recognize there's a problem to be fixed and then you give them some theories or concepts to help them do so. So start with a problem - whether a case study, a news story, or your own experience - and then use this to hook them on why theory matters - not the other way round! Starting with the theory and then showing how it applies runs the risk of losing the students' interest too early. It might work for some, but it's a risky strategy. 4. Students’ own experience is valuable class material – don’t waste it! We are constantly surprised by the rich variety of experience and opinion that our students have had in corporate responsibility, even without ever having a formal CR position. This is a real treasure chest for teachable moments, when you can flip what you're teaching in the classroom to help students make sense of their own past or current experience. And the rest of the class can learn so much from this too. It brings everything into such clear focus about the here and now rather than some abstract case in a textbook. In our opinion it is important to avoid imposing a single theoretical position or set of values on students, regardless of what your own perspective on corporate responsibility might be. There are few unequivocal right or wrong answers in this field. So the goal should be to help students understand the breadth of perspectives on the issues at hand and enable them to find their own position not to impose one on them. The professor's job should be more like that of a coach than a preacher. 6. Don’t confuse ‘there are no right and wrong answers’ with ‘there are no better and worse answers’. The first statement is largely true. The second one is not. One of our most important jobs is to enable students to make better decisions, and to come up with better answers than just simple moral relativism : "my opinion is just as valid as anyone else's". A valid opinion, or a good answer, is one supported by fact, reason, evidence and logic. This may not mean that the answer is right from any universal moral perspective, but is should mean that it gets an A when you're doing your grading - even if you don't agree with the answer! Rightly or wrongly, the business case is the most powerful tool for any corporate responsibility advocate in the workplace. If you can show how a CR initiative will create business opportunities or reduce risks, it has a much better chance of getting approved. So teaching the business case is a crucial part of any course. But there is more to responsibility than only the business case. A good course needs to consider other social and ethical arguments for corporate responsibility beyond the business case so that students do not get trapped inside a purely self-interested mindset. 8. Be mindful of the limits posed by particular forms of business and business system. Not all companies are publicly-held corporations, and not all systems of governance work like the US where the shareholder is king. When teaching corporate responsibility it is essential to help students recognize this, especially if they are using a US textbook. Small firms, privately held companies, co-ops, mutuals, B Corps, social enterprises, etc - these all operate by different rules that give rise to different limits and opportunities for social responsibility. Likewise, the governance of large companies in continental Europe, Asia and and Latin America is quite different from in the Anglo-American system. Corporate responsibility is best understood as a practice than happens within particular constraints - and students need to know exactly what those constraints are in different parts of the world and in different parts of the economy. 9. Provide a good structure for learning. This is true for any course, but its easy to forget how important good structure is for good learning when there are so many juicy issues to get your teeth into in our field. An effective course will use a clear relevant organizing framework (such as themes, stakeholders, theories), not just a list of issues. Think about a course as series of building blocks - what's the foundation and what are you aiming at reaching at the pinnacle? Corporate responsibility is not an island. It needs to be linked and embedded with the other subjects that students are taking. Hopefully some of this will be happening in those other courses, but our job as a corporate responsibility professor is also to make those links clear for our students so that they don;t see ethics and social responsibility as add-ons separate from "real" business. So bring in elements of strategy, or marketing, supply chain management, accounting, finance - whatever it is that makes sense in the context of what you are teaching. 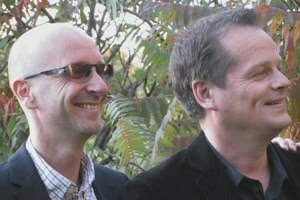 A joined-up curriculum leads to joined-up thinkers - and one way or another we need a whole lot more of them out there.